Small spaces require smaller futons. 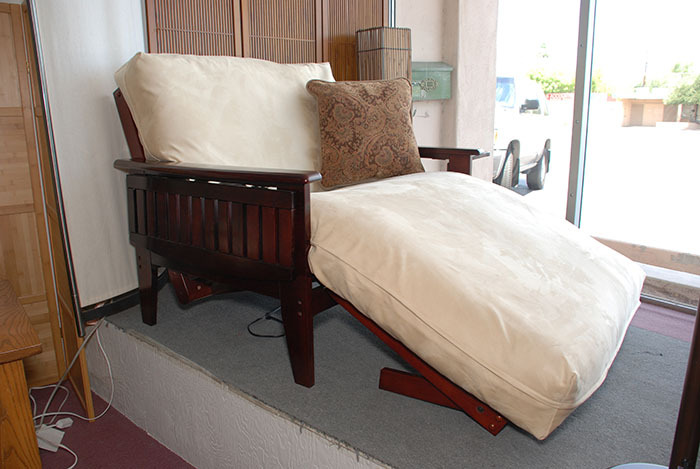 This versatile twin sized loveseat is available in multiple arm styles. Use it as a sofa, a lounger, or a bed. At a width of just 45”, it is an efficient use of space.